The first in town? Something not to be missed ? What and where is that ? 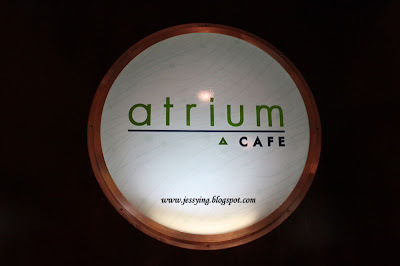 It's in Atrium Cafe in Pyramid Tower Hotel in Sunway Pyramid! Something new in town, never before held in anywhere else ! 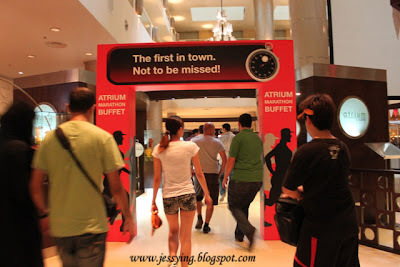 It's First ever Atrium 12-Hour Marathon Buffet ! 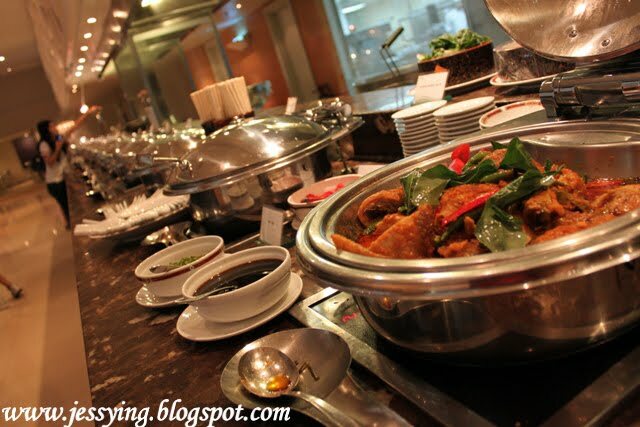 Yes you heard it right, it's a 12 hour buffet which allow you to eat from 11am to 11pm , you can have you brunch, lunch, hi-tea, dinner and supper all in one place AND in between you can do in and out the restaurants AS MANY TIMES AS YOU LIKE! 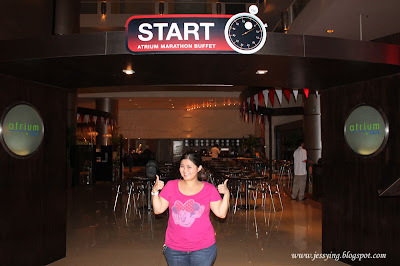 This is me, I'm ready to start my 12-hour buffet marathon challenge with a bunch of bloggers last week! 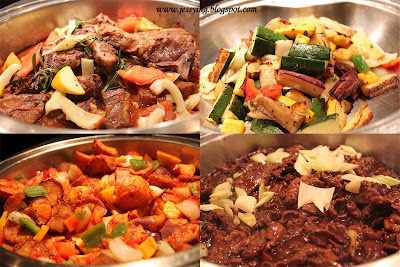 Let me show you some of the food we tried ! 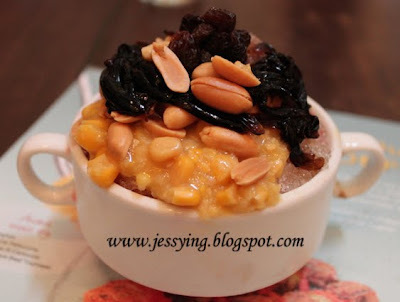 I started my first meal of the day with a bowl of plain porridge with some toppings! 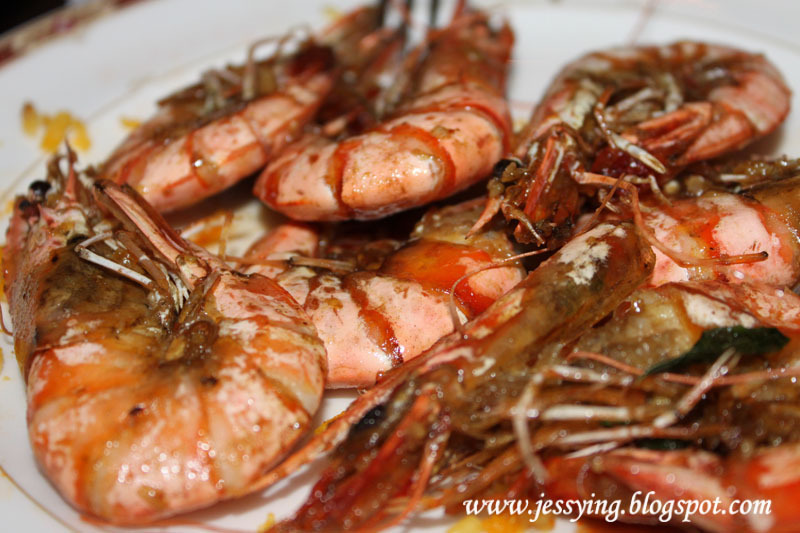 It may look simple but it is yummeh ! 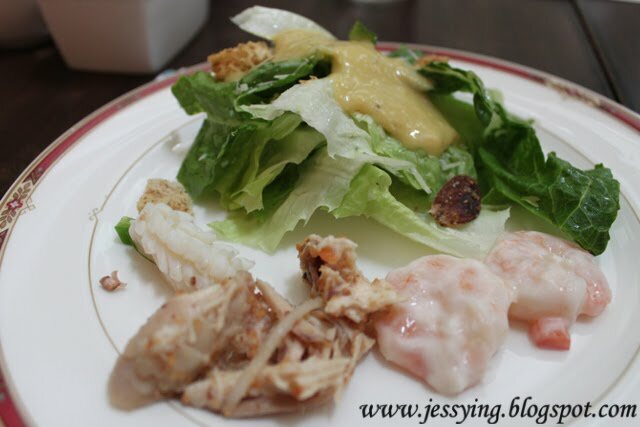 Here is what I like about Buffet, I get to try different types of salad ! The fishball soup noodle is good too, I didn't expect it to be tasty and the fish ball tasted to me like those homemade one. Then we have a break and there is a Wantan (i.e dumpling) eating competition!!! Look at how big the pot of dumplings prepared for the competition!!! 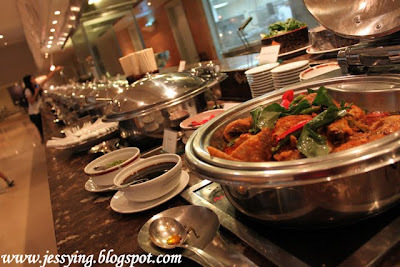 p/s : I didnt join the challenge .... just want to post with big pot of wan tan (dumplings) to show you guys how big it is! The one who finished as many bowls of wan tan within the few minutes is the winner. And Jonathon who is the winner for this challenge ate like lighting won himself a voucher from Sunway Group ! 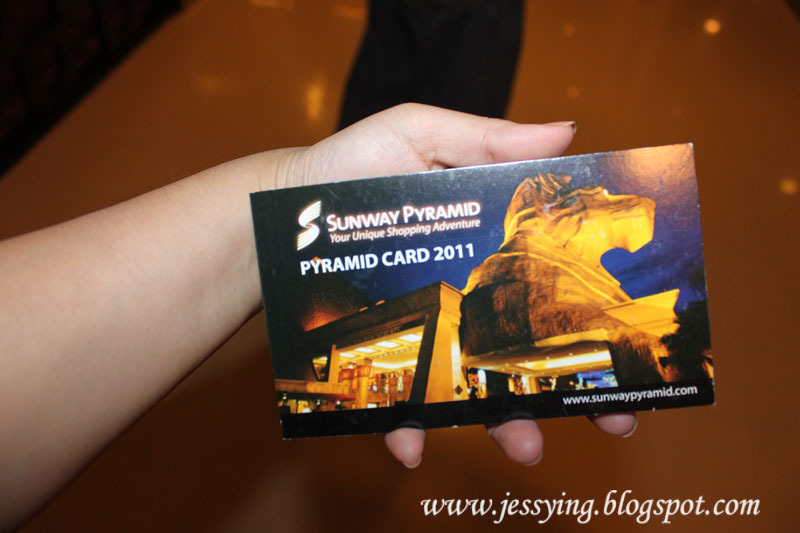 After that each of us are given Sunway Pyramid Card 2011 with some vouchers to do our shopping during our 1 hour break after the dumpling eating challenge!!! 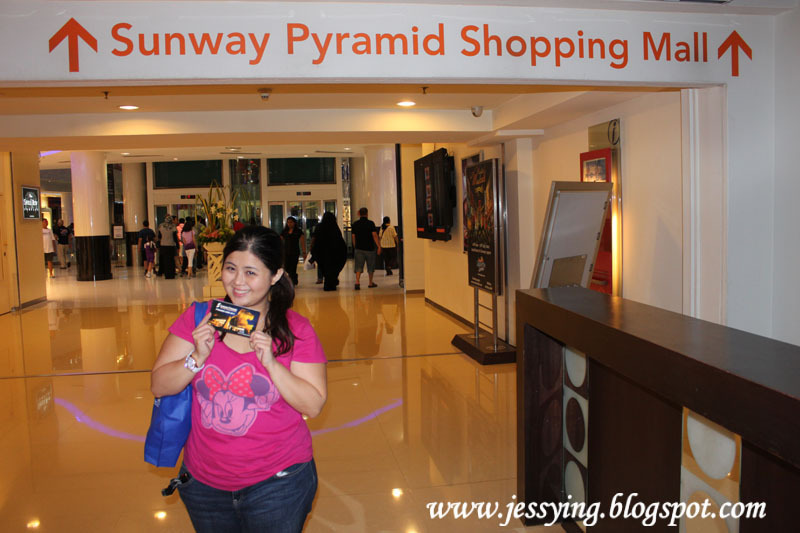 So I went shopping at Sunway Pyramid Mall which is just like few steps away from Atrium Cafe! 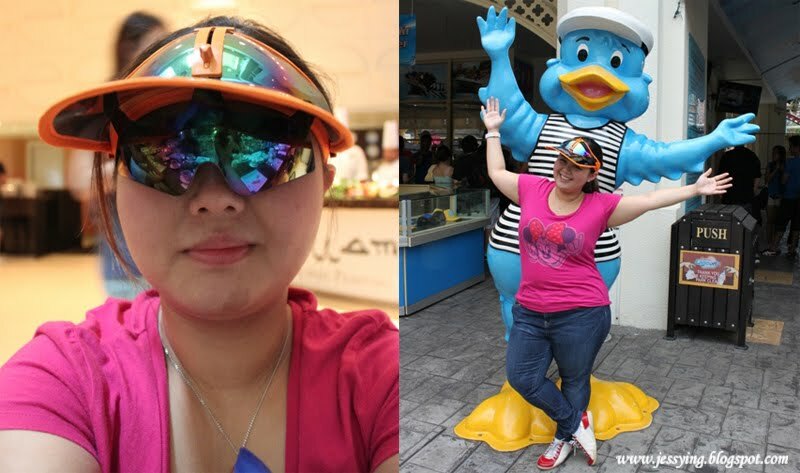 Hehe it was actually I want to go and walk around and burn off some fats before I could try other food ! 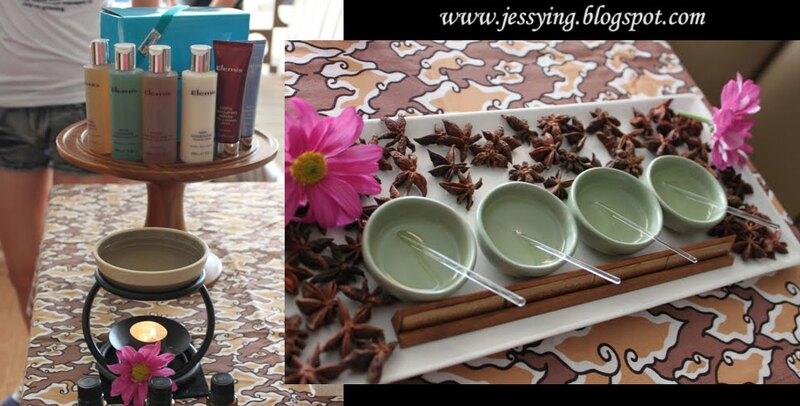 Apart from shopping, some of them went to try the 5 Minute Relaxing Mini Massage by Mandara Spa Therapists at the Atrium Lounge. 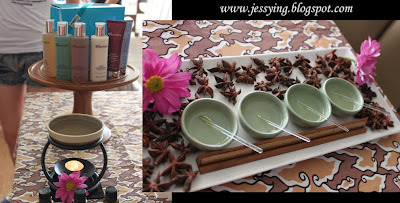 After the window shopping, I decided to get myself a massage. Even though it's 5 mins thingy, the massage is quite powerful and my shoulder feels more light after that ! And I'm ready to hit the buffet line again! The wide selection of food for us to choose! 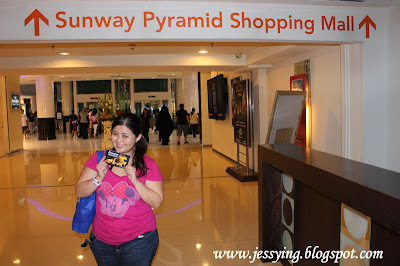 We went to Sunway Laggoon which was within the Sunway Pyramid vicinity ! I think the last time I been there for their themepark is 10 years ago ! 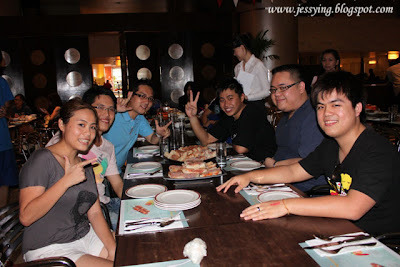 Me and other bloggers at Sunway Lagoon Extreme Park after our lunch! We played go-kart!!!! Quite fun and thrilling experience that I had there! And the best among all the dishes I tried is their salted egg prawns!!! Perfectly done .. very tasty!! This is everyone favourite right ?? Fresh mussels ! Apart from the Wantan eating challenge, we have spicy popiah eating challenge as well. These bloggers are so sporting and volunteer to join! The popiah is quite spicy and I salute this guy Benjamin who won the challenge!! 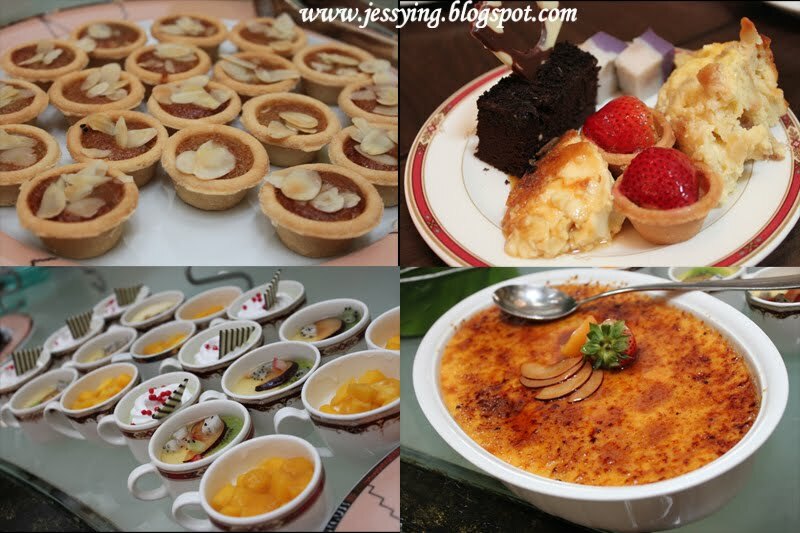 Oh I nearly forgot to show you guys the desserts!!! 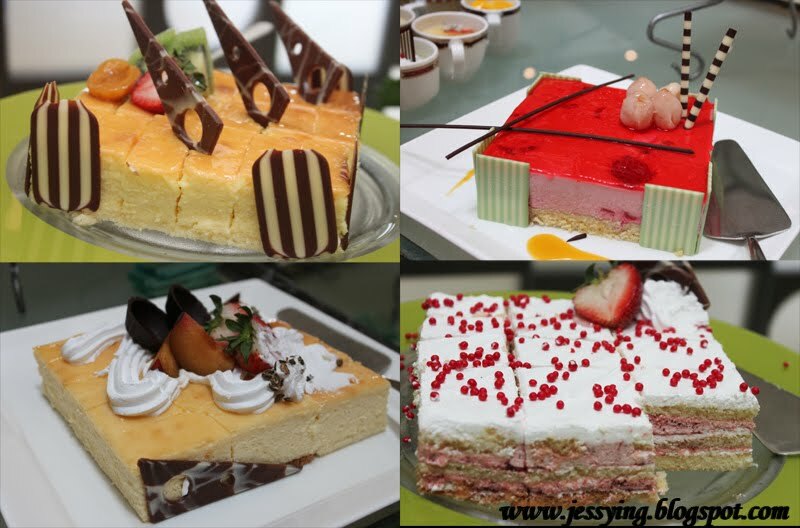 All looks so tempting .... calling my name! The yam cake was really good because real yam was used here!! 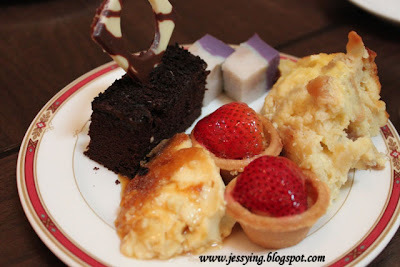 And the winner among all the desserts is the bread and butter pudding with vanilla sauce....so irresistible! 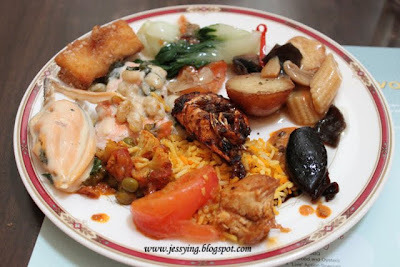 I think I tried bit of everything & hooray I managed to survive the 12 hour buffet marathon at Atrium Cafe!!! 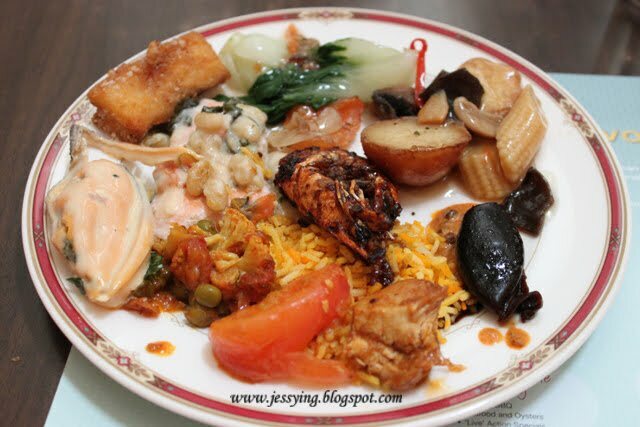 Oh did I tell you guys how much one needs to pay for this 12 hour buffet? 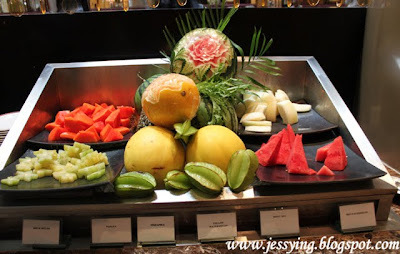 Only RM68++ per person for 12 hours buffets , so damn worth especially they allowed us to go in and out the Atrium Cafe as many times as we wish (love the fact its well connected between the shopping mall and lagoon) !!! So I could go movie, spa, facial, ice-skating, shopping or Sunway Lagoon theme park and then go back to have my meals again!! 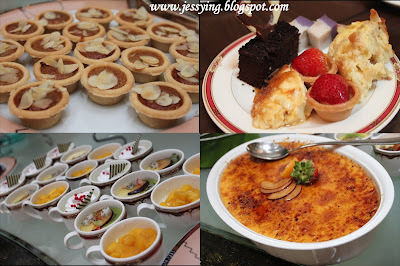 You can do your own calculation , roughly how much each meals cost if we to have a minimum of 5 meals at this cafe (Breakfast,Lunch, High Tea, Dinner and Supper) roughly RM13++each meals with a wide selection of food to starters to desserts to choose from! 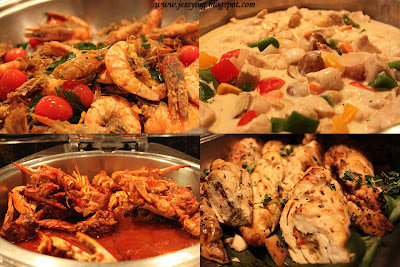 And you can't get this price at any Sunway Pyramid restaurants! 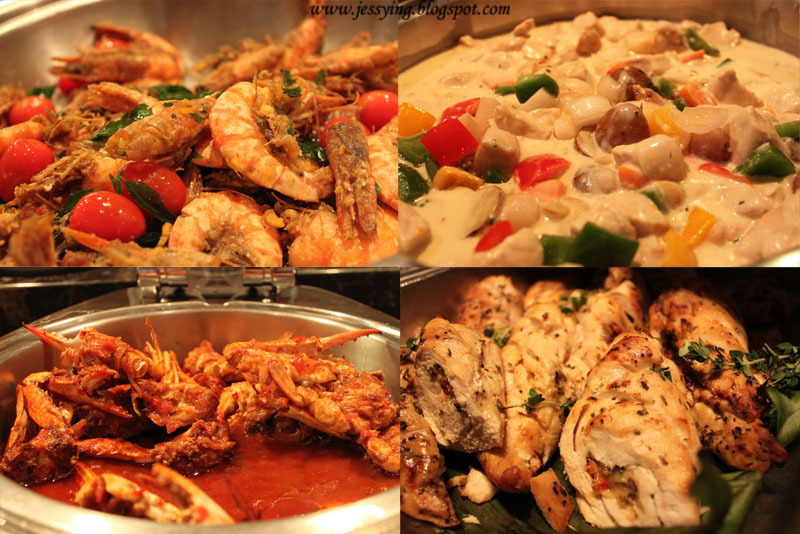 The Atrium Marathon Buffet allowing multiple entry, takes place every Sunday and public holiday from 11.00am to 11.00pm and is priced at RM68++ per adult. Children aged 12 years and below dine at 50% off. Prices quoted are subject to 10% service charge and 6% government tax. That's a lot of food!! 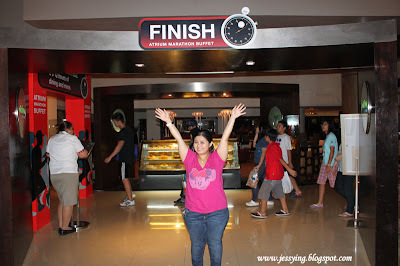 !Ha ha congrats indeed for surviving the 12 hour buffet!